Opening at 6pm August 29th 2016 we present an exhibition of RARE previously unpublished photos of the Beatles! Dave Seabury is back in our room with photos from the Beatles last concert at Candlestick Park. 30 years ago he discovered a contact sheet of amazing images of the Beatles by an as yet unidentified photographer. 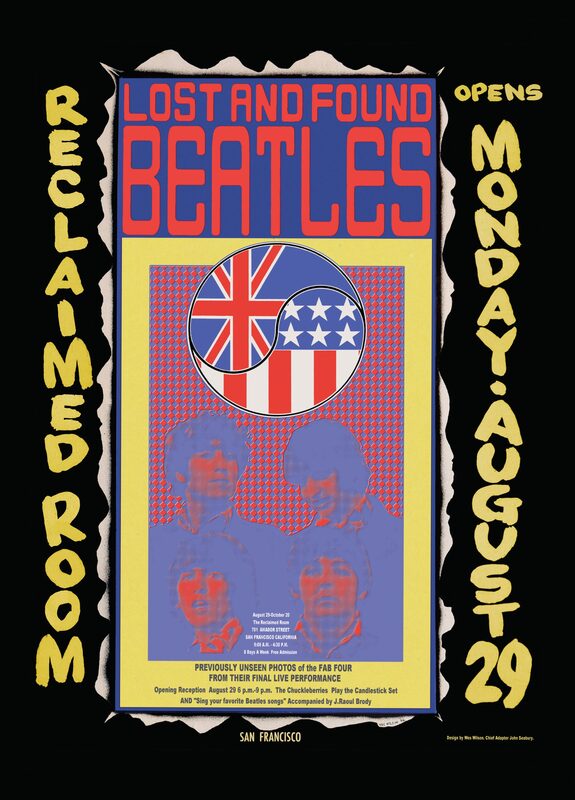 The images have been digitized, restored and enlarged to commemorate the 50th anniversary of that last Beatles concert. The Opening Reception will also feature live music by The Chuckleberries and J. Raoul Brody on keyboard. The show will be up through October 20th 2016. Reclaimed Room is open 8 Days a week for this exhibit 9am-4:30pm, excluding major holidays. More details can be found in this article published by SF Gate/San Francisco Chronicle. Click onto the link below to read the article.